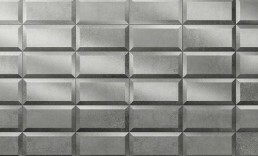 Metal Effect - Metal Perf - Bevel - Ceramic Wall Tile - Nick Firth Tiles Ltd.
Diesel living has created a new metal effect tile. 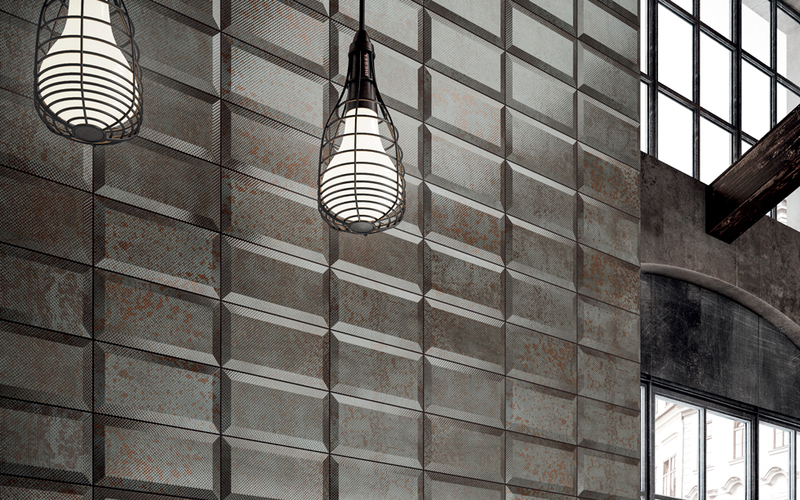 A wall tiling solutions inspired by the industrial and metropolitan world, for a truly eye-catching contemporary setting. 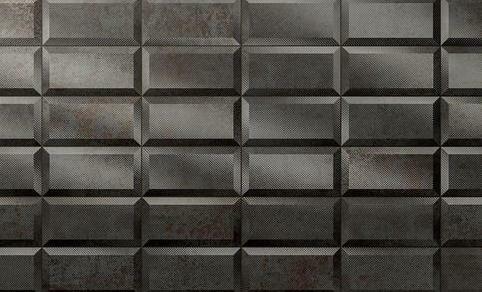 Visually this metal effect tile almost looks 3D, a great example of Creativity and design. Metal Perf has a strict sense of contemporary appeal. 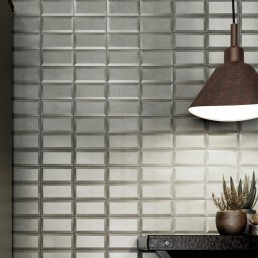 A bevelled ceramic wall tile that has strong influences of an industrial environment. 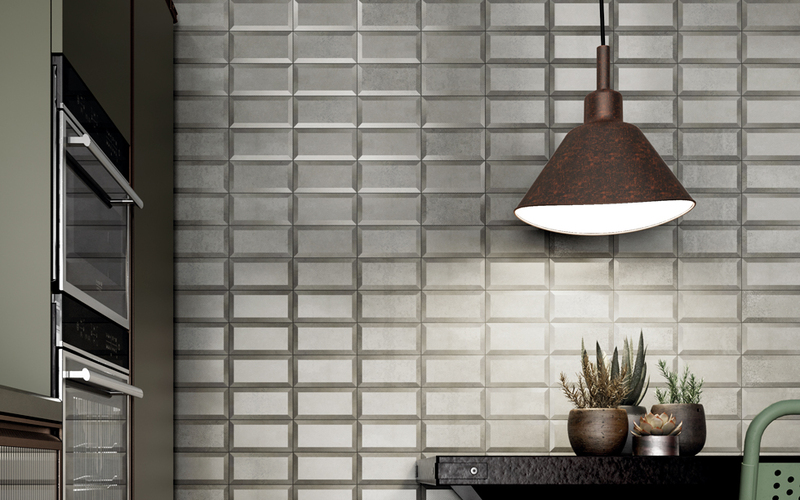 The tile looks as though it is covered with a perforated metal sheeting, finished with a subtle metallic lustre. Welcome to Metal perf, this metal effect wall tile is available in one size 200 x 100 mm. This range consists of four must see shades. 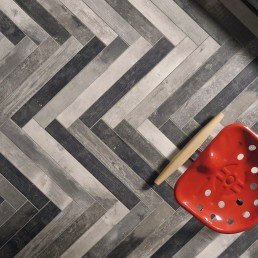 This tile manufacturer has taken all the elements of raw metal and incorporated them into this outstanding tile collection. The three shades they have on offer are; Flux having characteristics of aluminium. Reddish (copper). Tinny (bronze). 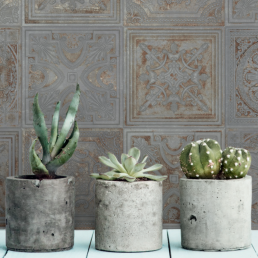 This metal effect collection has obvious traits of weathered metal. Metal that has been left out in all types of weather conditions, to bring on minimal corrosion. At first glance you almost expect to see through tile. 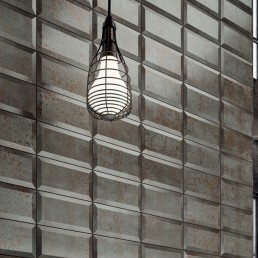 The perforated circles give the illusion of a metal mesh. It is not until you touch the tile you realise the metal effect tile has a textured feel. 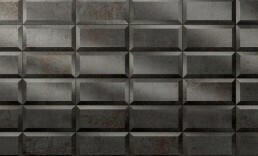 The bevel edge on this metal effect tile is shaded, giving the tile more definition. Distinctive creativity and technology are all stains of life on a metal slab. 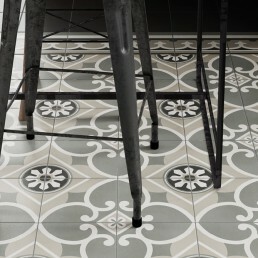 The struggle of beauty to survive in a concrete jungle all captured with this tile range.